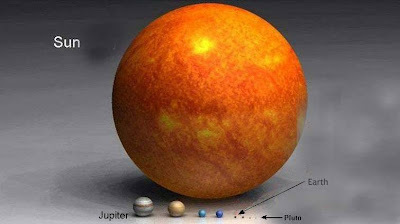 That really drives home how small earth is in comparison to the sun. Nice find fella. Tis said that if Betelguese, in the constellation of Orion, was positioned in place of our sun, the huge star would engulf Mercury, Venus and Earth. It's almost impossible to comprehend the size.